This option is for returning SFR customers who's ordered off of website and gotten the tunes in person (@SFR USA or tuning events). *Note we do not consider you as returning customers if you have 1. purchased used tuned ECU 2. purchase the vehicle as it was tuned 3. tuned with another competition's tunes. 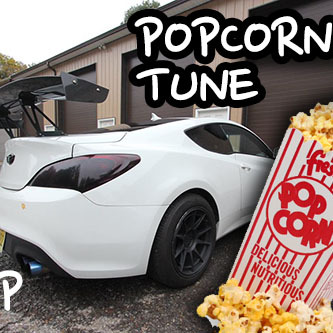 $100 fee to add this Korean Popcorn feature on your existing SFR tune on the same ECU. You must either 1. visit us in person @ SFR USA (WITH APPOINTMENT) 2. Mail in your ECU with PREPAID RETURN LABEL (No USPS Stamps for the return) 3. purchase NEW core ECU with tune (Paying for full price). Adds aggressive crackle and pop during deceleration letting off the gas pedal around 2-4k RPM at light throttle. Has no gains as far as the performance goes. Sound will be depended on your exhaust set up. It is little more aggressive on 2.0 Turbo model due to the nature of it.